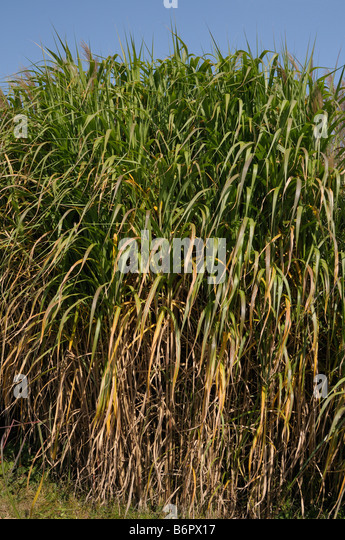 Miscanthus (Miscanthus X Giganteus) is a "woody" perenial grass of Asian descent, that when established, will grow about 11 1 / 2 ' yearly. This grass is sterile triploid (three sets of chromosomes) formed by a natural cross of miscanthus sacchariflorus and miscanthus sinensis. It produces new shoots (stalks) annually which average... Miscanthus giganteus is a large perennial grass, growing 12-14 ft annually. Potentially the "ideal" energy crop because of its annual cropping cycle and high yields. Potentially the "ideal" energy crop because of its annual cropping cycle and high yields. In the largest field trial of its kind in the United States, researchers have determined that the giant perennial grass Miscanthus x giganteus outperforms current biofuels sources -- by a lot.... Assessing the suitability of land for planting miscanthus or more specifically for giant miscanthus, is essential in ensuring that the crop will grow and thrive as a long term source of sustainable income. 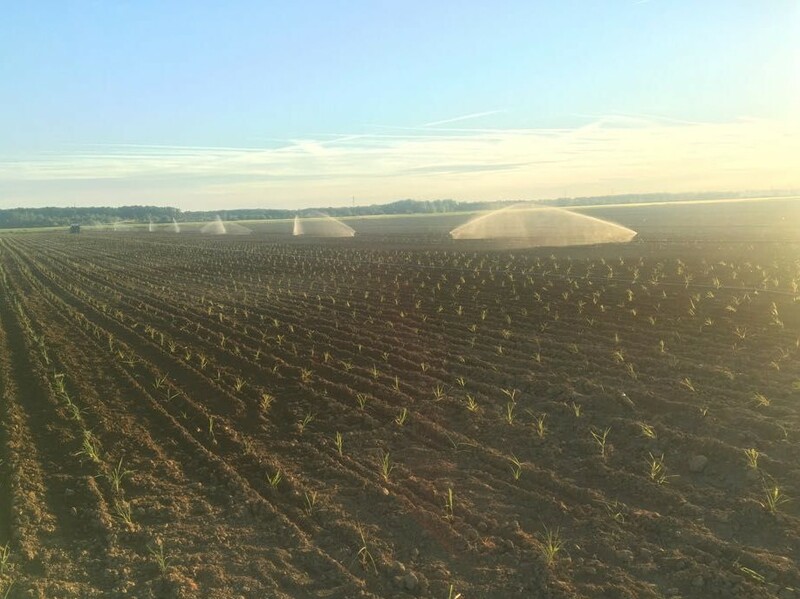 Knowing when and where to plant the miscanthus crop is a primary consideration for the successful cultivation of a consistent long term return on investment. Miscanthus giganteus is a large perennial grass, growing 12-14 ft annually. Potentially the "ideal" energy crop because of its annual cropping cycle and high yields. Potentially the "ideal" energy crop because of its annual cropping cycle and high yields. Miscanthus x Giganteus Giant Miscanthus Grass. What a beast! Gets 12' tall in full sun and good soil, and can handle a wide range of sub-optimal conditions. 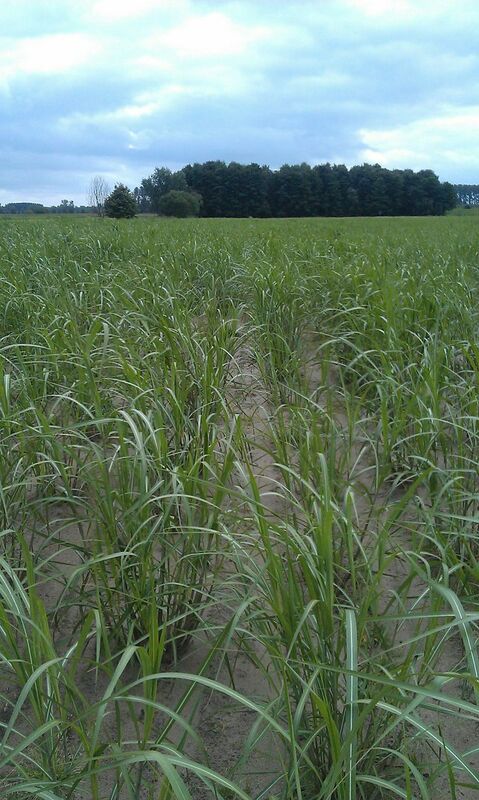 AGgrow Tech is a leader in giant miscanthus technology and production. The technology includes one of the largest miscanthus genetic germplasm libraries in the world, numerous plant patents and the first giant miscanthus seeded variety.